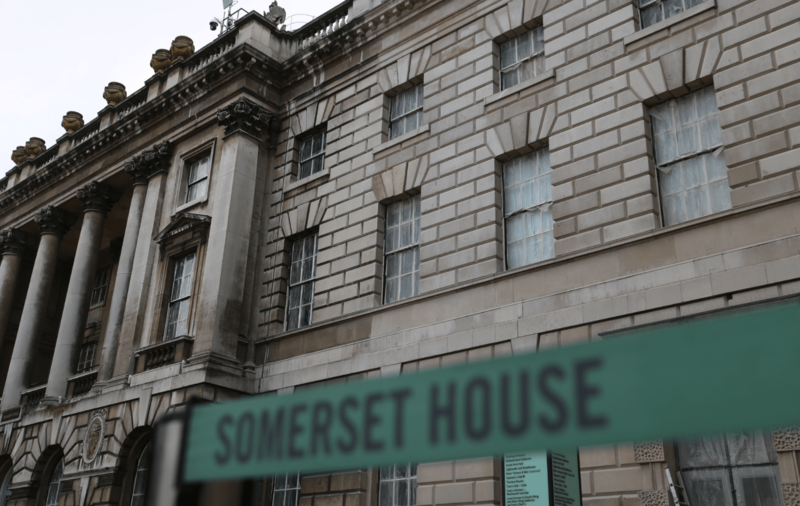 One of London’s largest and most important creative hubs, Somerset House is home to some of the city’s most celebrated names across a wide spectrum of the arts, including the National Youth Orchestra, Courtauld Gallery and Institute and the British Fashion Council. Hosting everything from start-ups and small businesses to the leading lights of contemporary creativity, it is one of London’s most elegant and prestigious venues and a historical landmark recognised the world over. Originally a Tudor palace on the banks of the Thames, immortalised by the artist Canaletto, the building has had a long and colourful history since it was first built in the 1500s. After a period of neglect – and in part a reaction to late 18th century criticism that London had no great public buildings – the original structure was demolished in the 1870s to make way for an imposing Neoclassical building designed by William Chambers. With a design based on Inigo Jones’s drawings for the riverfront of the former building, the North Wing, fronting the Strand, was completed in 1780. The South Wing, meanwhile, incorporated three great arches to enable boats and barges to access landing places within the building – at that time the Thames was not embanked and lapped the building itself. It is this South Wing that has recently been returned to its former glory by Thomann-Hanry®. Over an intensive eight-week period, some 1,650 square metres of Portland Stone elevations were meticulously cleaned using the company’s patented façade gommage® technique. As opposed to abrasive processes, façade gommage® is perfectly suited to the delicate restoration of historical structures, projecting fine powders under compressed air not against, but across surfaces, gently rubbing away layers of accumulated dirt and lifting residues away for removal and recycling. The rapid eight-week turnaround was enabled by the fact that façade gommage®, unlike other cleaning techniques, does not call for the expensive and time-consuming inconvenience of unsightly scaffolding. Deployed from a boom-mounted cabin, the process is agile, flexible and uniquely mobile. In addition to cleaning, Thomann-Hanry® were tasked with decoration of windows, restoration of stone/leadwork and pigeon protection, as well as the faithful and accurate replacement of balusters, carried out by their inhouse team of expert banker stonemasons. A barometer of client satisfaction, it is always revealing when quotes for subsequent work are requested. With restoration of the South Wing barely completed, Thomann-Hanry® have already been asked to cost further projects at Somerset House, raising hopes that the rest of this historic landmark could soon be returned to its original splendour. Find out more details of our works at Somerset House here.